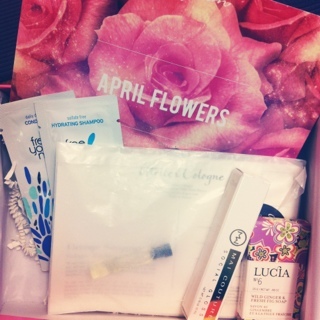 This is the first Glossybox I have received and WOW. Really impressed with this one. So impressed I immediately cancelled my Loose Button Luxe Box subscription. Yes the box did come late – it came June 2. 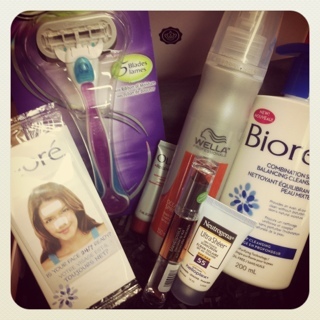 But it was totally worth the wait and filled with products I would use. 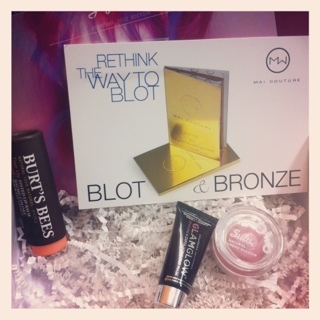 3 of the products were full size and two were large sample sizes. Best of all, no crappy perfume samples or shampoo packages. There was nothing in this box I could of got free (HELLO LOOSE BUTTON, I AM TALKING TO YOU!!) Very impressed! 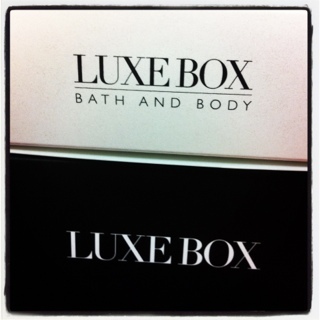 Right away I noticed the packaging seemed much better then both the Luxe and Glymm boxes. The box felt more solid and study the ribbon thicker and nicer. Giving it a more high end feel. 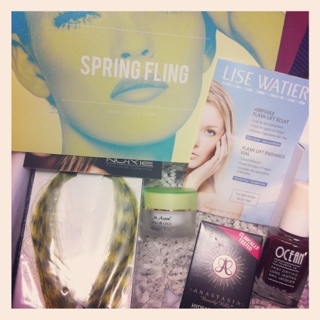 The May 2012 GLOSSYBOX was PACKED full of awesome items. I use everything that was in this box on a daily basis – happy to finally get a box full of items I will use. The lipstick was packaged very cutely, although – a little too cute for the price. The packaging seems more targeted at pre-teen girls, but what pre-teen spends $16.00 on a lipstick? I must say it smells very good, like vanilla. 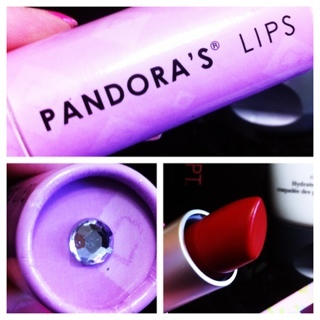 A nice change for a lipstick. I haven’t tried it yet though. The GLOSSYBOX subscription is slightly more then the others at $15 a month (includes tax and shipping) – but with a value of $45 I say it is more then worth it. Some of my other boxes has been worth more but filled with items I wouldn’t necessarily use (like small tubes of mega expensive anti wrinkle cream). But all this will get put to use. 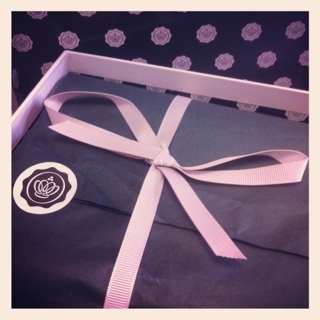 Looking forward to my next GLOSSYBOX. I was trying to get myself narrowed down to just one beauty box a month, but with TOPBOX starting next month I am not sure how that is going to be possible. 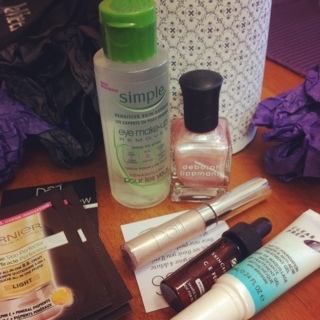 This entry was posted in beauty subscription, glossybox and tagged beauty subscription, glossybox, makeup, makeup subscription on June 3, 2012 by Courtnie.